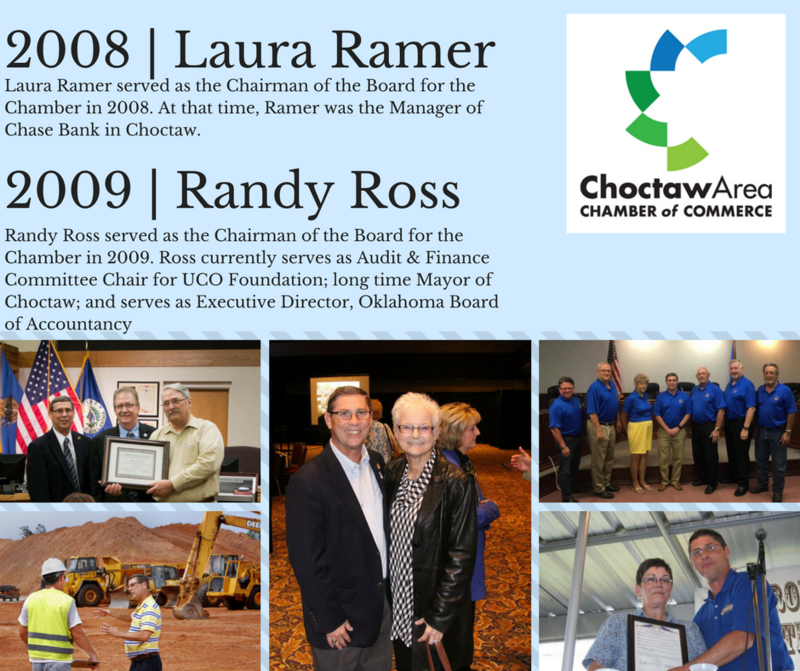 Join us as we thank Laura Ramer and Randy Ross for their hard work and commitment to the Chamber and to the community of Choctaw. As we look back over the years in celebration of our 40th anniversary, we can’t help but be grateful and appreciative of everyone who volunteered their precious time and valuable skills to bettering the chamber and our surrounding communities. Make plans now to attend our annual banquet on November 9. We invited all previous chairs to be our guests of honor that evening as we celebrate 40 years of hard work and achievements. Call the office today at 405-390-3303 to reserve your seat.